August 31, 2018 Angela Jones Comments Off on How to Create Your Own Website! Training 26 is a Leeds based family run training provider offering training in Microsoft Office/Office 365, Adobe CC Suite, and Sage Accounting together with a comprehensive range of Management and Business Skills courses. We have provided professional business skills and IT training solutions to individual clients and corporate/SME’s throughout the UK since the company was founded in 1999 so whether you’re after an introduction to Microsoft Office (Word/Excel/Powerpoint/365), information regarding building your website in WordPress, or a whole range of business skills (reception skills, first aid at work, management training), contact us today. We schedule monthly public (open) courses in all current versions of Microsoft Office including 2010, 2013, 2016, and Office 365. Bespoke courses can also be designed for individual companies, with the content tailored to meet the specific requirements of the delegates. Bespoke courses can be delivered either in our Leeds training centre or on client’s business premises as preferred. Other Microsoft disciplines can also be delivered, such as Project and Publisher, along with other non-Microsoft courses, including, but not limited to, Adobe and Sage, please enquire for further details. We are based in the Leeds Media Centre on Savile Mount, just off Chapeltown Road. We are located at the city centre end of Chapeltown Road, Leeds, West Yorkshire. This gives easy, convenient access from the city centre by either public transport, taxi, or a brisk 20 minute walk if weather permits. In addition to the extensive portfolio of software courses, Training 26 can provide a broad spectrum of courses in Management and Business skills. All our management courses are customised to meet the specific requirements of the delegates. This is achieved through a detailed process of Training Needs Analysis to identify training objectives. This process ensures an effective and efficient approach to staff development within the context of specific working practices. Brand New to Training 26, engaging with one of our partners we are please to offer a 2 day course aimed at those businesses wanting to create a new website or take control of their existing WordPress installation. Please call for further details. 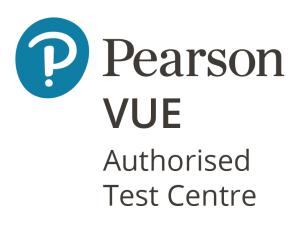 We are excited to announce that we a now an authorised Pearson Vue Test Centre. Pearson Vue schedule and host exams for some of the biggest names throughout the world and hence have very stringent quality standards that have to be adhered to. They also have a very vigorous routine for checking the suitability of any third party wishing to be an Authorised Test Centre. Contact us directly to register your exam slot by telephone (0113 243 2226), or alternatively use the contact page and we will call you back at a suitable time for yourself. To complement the more formal classroom based learning, we also send our trainers out to client’s premises to provide a floor walking service. This is a great asset to not only support a more formal learning plan, but also to provide much needed support when taking an upgrade path to a newer version of any software package. Floor walking is charged on an agreed daily rate with expenses to be paid in regards to travel and overnight accommodation, if needed. If you’re looking to partner with a Leeds based company to enable a plan of continuous improvement within your organisation, find a reliable Leeds based training provider, or require courses delivered on your premises across Yorkshire (or anywhere else in the UK) then please contact us via the Contact Us page (don’t forget to sign up for our newsletter), or alternatively telephone the office on 0113 243 2226. We also offer classroom hire by the day if as an external organisation you need a short term, fully equipped classroom environment in order to deliver screen based exams, screen based training or presentation.